I rarely start with patterned paper when I scrapbook; typically I start with photos or a story . . . or a challenge, which is why I recently found myself thumbing through my huge stash of paper looking for inspiration. The first topic in last fall's BPC Art +Science of Scrapbooking workshop was Ideation, and left-brained Jennifer Wilson and right-brained Stacy Julian each issued a layout challenge. 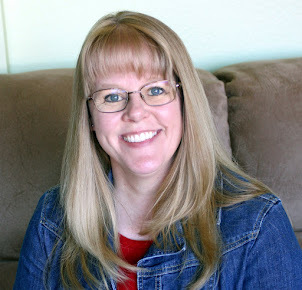 Stacy's challenge was to find a piece of patterned paper that reminds me of a place or space, then find photos to support that memory and create a layout. Since I'm predominately left-brained, this was a tough task for me. 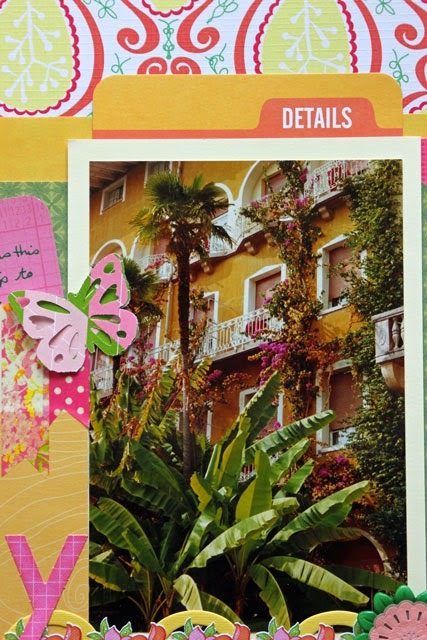 However, I finally chose a yellow/orange/green patterned paper because it reminded me of the colors of the buildings and the lush gardens in Gardone Riviera, Italy. I flipped through my Places We've Been Category Drawers and pulled out a photo that worked perfectly! I slipped a tag in behind some of the paper layers for hidden journaling and am thrilled with the way this turned out . . . even if it isn't the way I normally start. As I was scrolling through the classroom gallery a little later, I remembered a piece of paper I had in my stash that reminded me of camping . 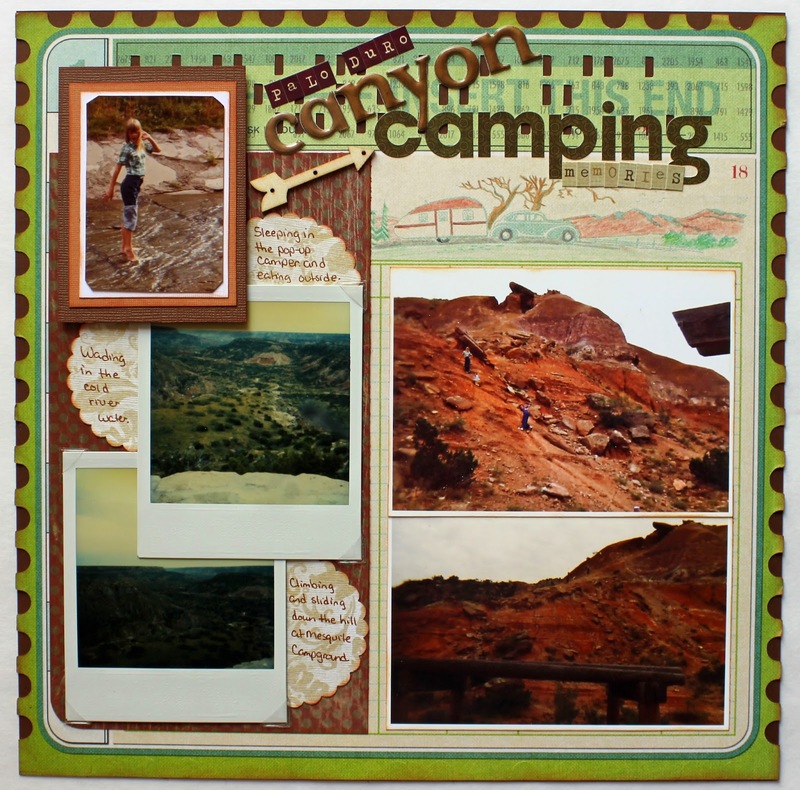 . . which brought to mind photos and memories of camping in Palo Duro Canyon when I was a kid. In one of my Storage Binders, I found two Polaroid photos taken from the edge of the canyon, and this FUN snapshot of me wading in the river that runs through the canyon. 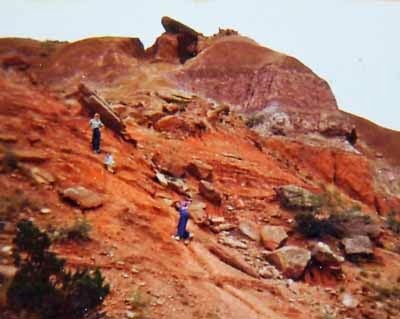 I printed two additional photos that I had in my scanned family photos file, including this one of me and my two sisters climbing our favorite hill in the canyon. When I was all done, I realized I had covered up a good bit of the original paper that inspired the layout - it's the green background paper. However, I did make sure my favorite part of the background paper was visible . . . I even colored it to match my layout. I don't think I'll be making a habit of starting my scrapping sessions by flipping through paper to find one that evokes a memory, but I have to admit I really enjoyed how this challenge made me step outside my comfort zone. 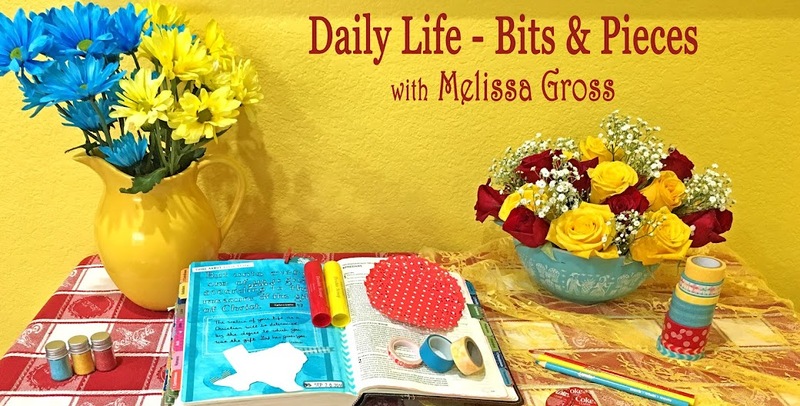 Have you started a layout with a piece of patterned paper lately? The timing of that class was all wrong for me. I would have guessed that I would find starting with product a very difficult way to build a layout. However, I do it all the time for Creative Team challenges. Don't you too? You’re right, Cheri, I do start with product for my LSS Design Team assignments, however I simply spread those supplies out on my craft table and look for photos to go with them. This felt different to me because the idea was to come up with a story first, then find the photos. There are definitely similarities though. I don't think I'd ever have thought of beginning a page with the paper, so I am taking my hat off to you for fulfilling the challenge so ably! I don't think I've ever started a layout based on the paper either. It's an interesting concept and you've certainly risen to the challenge. 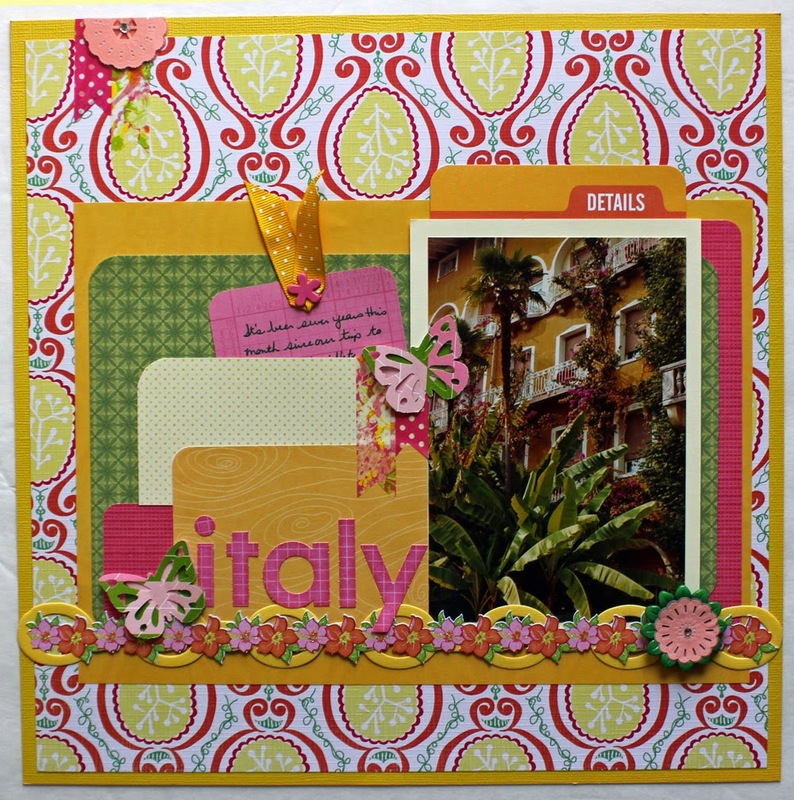 I love your Italian layout and the paper is perfect with it. Trying to remember, but I don't think I've ever tried this technique either. It worked well though! Love these pages, and starting with the paper first. I don't think that would work for me all the time, but when it does, I should go for it! I remember that challenge, love the colours in that first page.